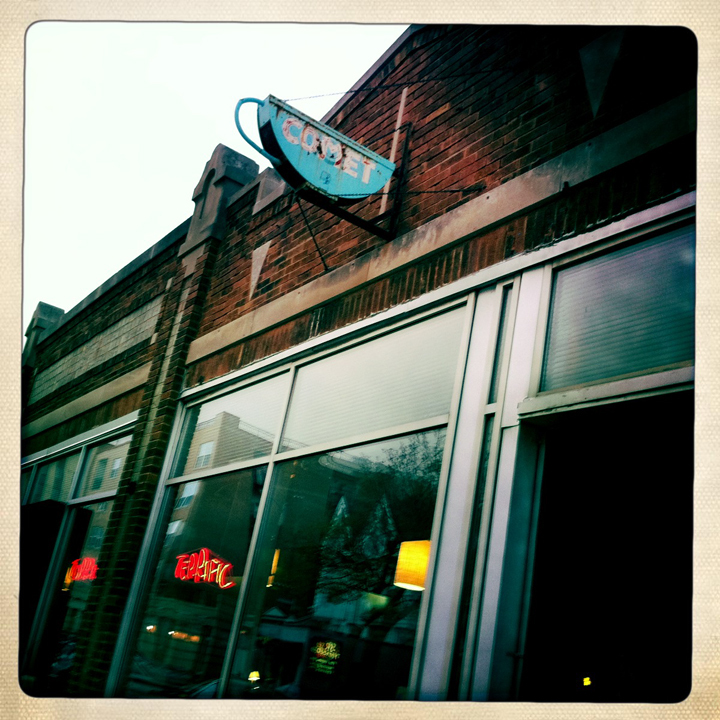 The Comet Café on Farwell Avenue has been in the neighborhood for eons, but somewhat recently it's been reinvented on many fronts, and is currently recognized nationally as a destination for slow (local and lovingly hand-prepared) food and craft beer. This craft beer fanatic was pleased with the great selection on their relatively limited tap rack (Three Floyds, Bell's, Lagunitas, etc.) and the Sunday night special that offered a free basket of bacon (yes, BACON!!) with a bar purchase. Their bottle selection is out of this world. AND the first Tuesday of each month, they offer Beer School where, for $20, those new to craft beer can learn a thing or twelve. Guy Fieri brought his show Diners, Drive-ins, and Dives to feature the café based on its amazing comfort food. Highlights include AJ's Compact Turkey Dinner (fried balls of turkey, taters, and stuffing served with brussels sprouts), bacon-wrapped meatloaf, a killer brunch, and (he says over a basket of bacon) some truly amazing vegetarian options. Visit their website to learn about all the delectability (and more). This is at once a brilliant neighborhood haunt and destination for the discerning hungry and thirsty traveling through the MKE. If you find yourself in this neck of the woods, get thee hither! That's what's HOPpenin'!! Cheers y'all! Schlemiel! Schlimazel! Hasenpfeffer incorporated! We're gonna do it! Okay, many of you have seen the opener of Laverne and Shirley as the glove goes down the assembly line of Schotz Brewery. Milwaukee, Wisconsin has long been associated with the behemoth side of the American brewing industry because it gave birth to Miller, Pabst, Schlitz, and Blatz. But the world of craft brewing is also alive and thriving in Brew City! Howdy! Artsy guy here. 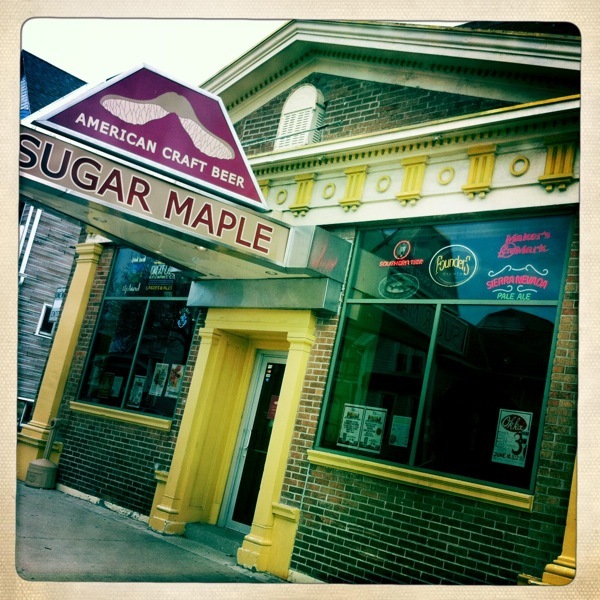 I'm here in the MKE to see my artsy goods exhibited at Ten Chimneys (estate of the late, great Lunts of Broadway) and decided to take advantage of the weekend to catch up with friends and visit old haunts from my recent days at Milwaukee Rep. One of these is Sugar Maple in the Bayview neighborhood. This place is a craft beer lover's dream. They feature 60 rotating taps (SIXTY!!!) that rely heavily on local and regional craft suds (i.e. New Glarus, Bell's, Three Floyds, Founders, etc.) and those from across the country (i.e. Lagunitas, Moylans, Rogue, North Coast, Oskar Blues, Southern Tier, Ommegang, and more). And they have hard booze too although I was, as usual, hop-focused. I ordered a taster tray of amazing mostly local stuff to which my bartender added another wee taste of something she thought I might like (and she was right). The only food they serve is a rotating menu of soups made by local restaurant Triskele's. The simple menu works very well. My bowl of sweet corn and potato chowder was incredible. The place also features the work of local artists and musicians. 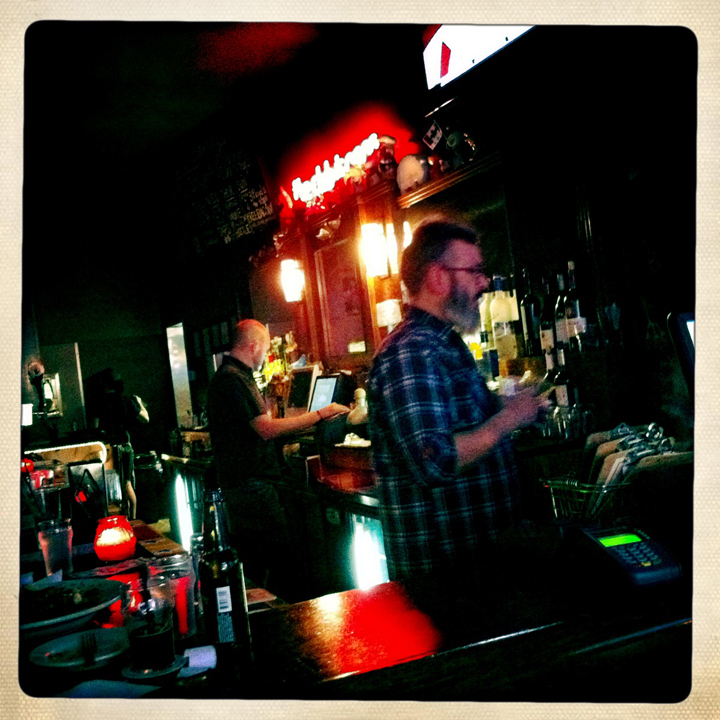 If you find yourself in Milwaukee, get thee to Sugar Maple! That's what's HOPpenin'! (The catch phrase is a groaner, I know, but one day I'll just embrace it without qualification.) Cheers, y'all! 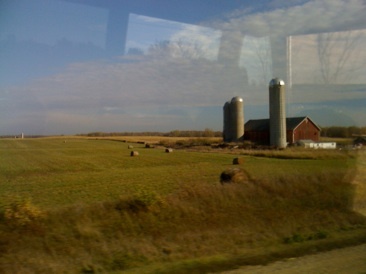 On a bus ride through Wisconsin. These days, it’s unlike us to do a spot without an accompanying video, but this was so unexpected and cool we just had to put it up as soon as possible. As some you know, Jimmy is on tour at the moment with the National Broadway company of 101 Dalmatians - recently we pulled up stakes in Minneapolis (where we had a great time and did an episode aboutMackenzie, The Bar Next Door) and headed for a week’s playing in Appleton Wisconsin at the Fox Performing Arts Center. We don’t usually take busses from place to place (most of the time we fly) but this was a short enough jaunt that we rolled through across the prairie from one great American city to another. What a way to see this country. We stopped for a quick lunch at a gas station/subway store in the middle of the western prairie in Wisconsin. Now, Jimmy is always on the lookout for Local Brews, and there, in the cooler of the Quickie Mart (or whatever the place was) a completely unexpected boon; a sampler of New Glarus Brewing’s finest. SCORE! So, as any good Happy Hour Guy would, Jimmy climbed back on the bus and shared the delights of this fine Brewery with the rest of the company on the way to Appleton. Sad to say, Appleton is a little too far north of New Glarus to get down there for a video shoot in the short week that we have before we head to Atlanta, but we now understand why New Glarus is rising very quickly into the brewing stratosphere. We found their brews to be extremely well-crafted and individual, with a style all their own that harkens back to the rich brewing history of Wisconsin, a state that was once a mecca of beer for the entire US, if not the world. So a big thank you to New Glarus for making a very pretty monday trip across the plains even prettier. And a specially big shout-out to their Stone Soup and Coffee Stout brews, that made the sun just a big more bright and the grass a tad more lush. We’ll see you guys next time. Cheers!